It’s that time again…time for yet another great meal kit battle! In today’s battle we are putting into the arena two worthy contenders who are both well established and highly regarded. We will be looking at the California based company that is all about green and healthy – Sun Basket vs. the German based company, who has been active in the US market for many years now – Hello Fresh. So, who will win this meal kit battle? Continue reading below to find out! Sun Basket offers 2 plans – a Classic Plan, providing 3-5 dishes per week for 2 or 4 people, and a Family Plan, offering 2-4 dishes per week for 4 people. They also offer a large variety of plans, mainly within the Classic Plan, that cater for special dietary requirements. These plans are as varied as paleo, lean & clean, gluten free, vegan, Mediterranean, pescatarian and vegetarian. 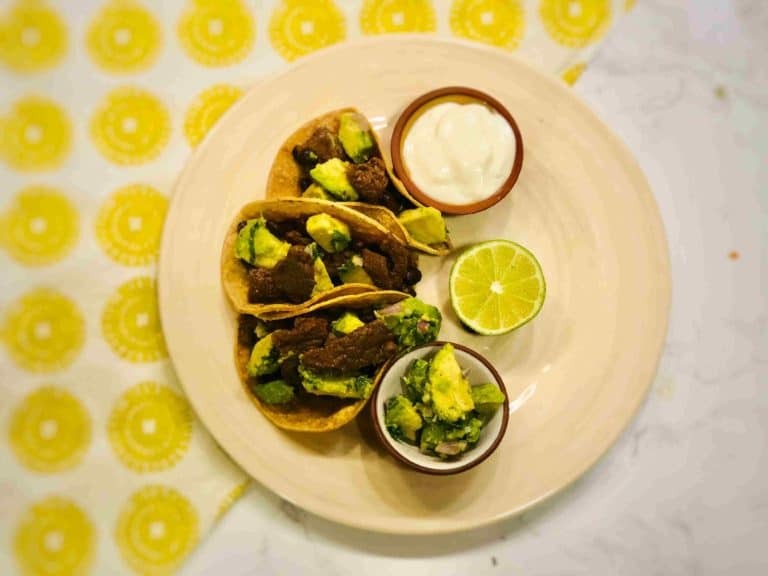 In comparison, Hello Fresh has a choice of 3 different plans – The Classic Plan which offers 3-4 dishes per week for 2 or 4 people, The Family Plan which offers 2-3 dishes per week for 4 people and the Veggie Plan – ideal for 2 or 4 people with a choice of 3 recipes per week. Sun Basket offers an impressive selection of 24 dishes per week which are, divided between their two plans. The Classic Plan has a choice of 18 dishes while the Family Plan has 6 dishes to choose from. 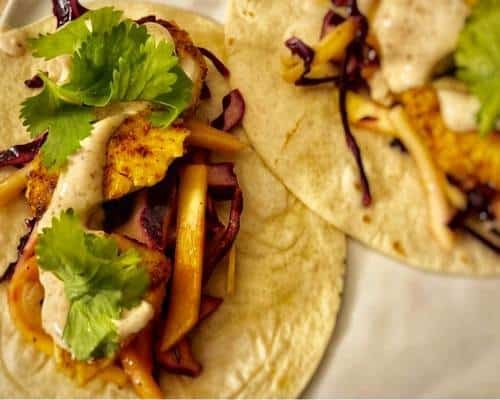 With both plans you have the option of selecting a menu that caters to your dietary requirements such as paleo, gluten free, lean & clean, vegan, vegetarian and much more. This extra variety for people with dietary needs adds a wonderful and unique diversity to the services provided by Sun Basket. 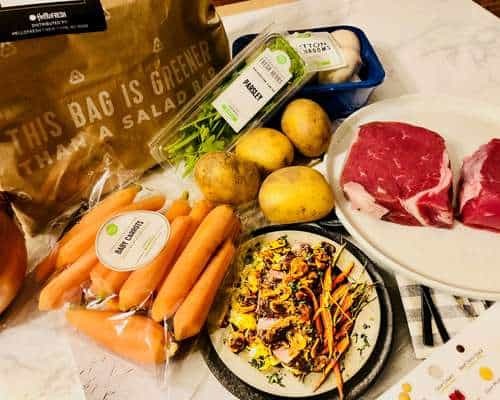 Hello Fresh offers a total of 16 recipes per week which are divided between their three different plans – 8 in the Classic Plan, 5 in the Family Plan and 3 in the Veggie Plan To clarify, this means that if you select the Veggie Plan you do not have the flexibility of choosing the dishes. You cannot mix dishes from the different plans during the one week, but you can switch plans from week to week. I have had the pleasure of having a long experience of tasting the meal kits of both Sun Basket and Hello Fresh and I can safely say that every dish I have tasted was delicious! I would say that Sun Basket is more focused on healthy and innovative new age cooking. They provide lots of greens, gluten free organic ingredients and healthy alternatives such as whole rice etc. In contrast Hello Fresh tries to focus on more traditional and well-known cooking. The recipes tend to be quite classic, without any sophisticated cooking techniques or unusual flavors. This can be less intimidating and a great option for people who are not so confident in the kitchen. Both Sun Basket and Hello Fresh provide overall, very high quality ingredients. 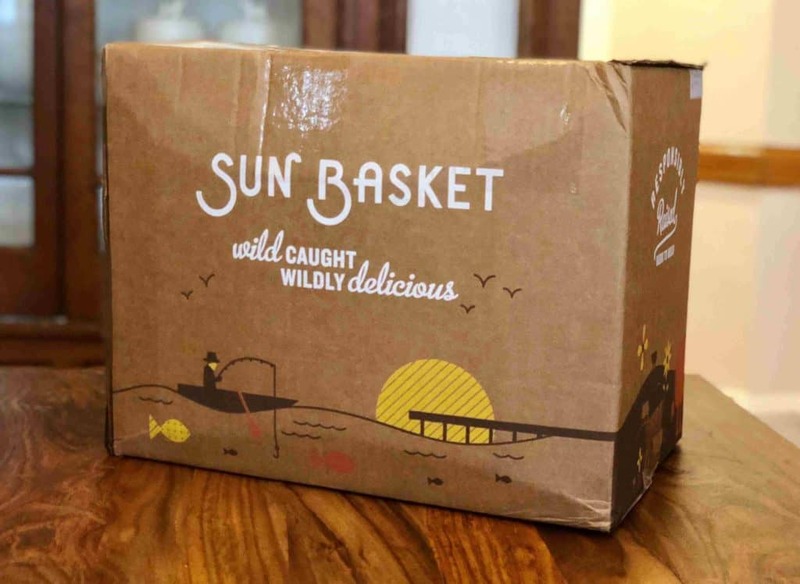 Sun Basket makes a one of a kind promise that all ingredients they send are organic and sustainably sourced. This is a promise that is unique in the industry and differentiates them from all other meal kit companies in the market. Hello Fresh uses meats that are primarily sourced domestically. They make a promise that all poultry is both antibiotic and hormone free. Their pork is certified to be hormone free, and all seafood is sustainably sourced. 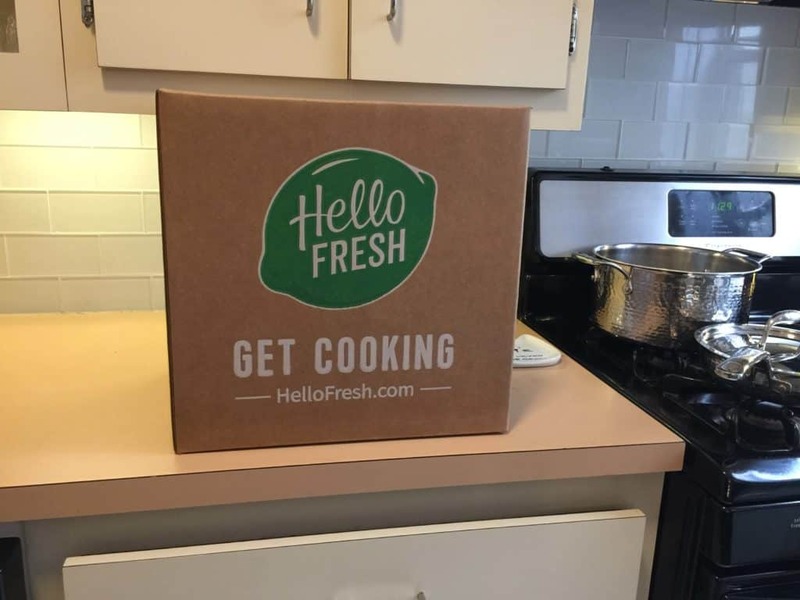 It is important to note that the vegetables provided by Hello Fresh are not always organic, but they do state that their focus is not on whether the produce is organic, but rather that they are trying to help the customers take the necessary steps to include more fruits and vegetables in their daily lives. The boxes used by both companies are aesthetically pleasing, practical and labeled with the company logo. When it comes to delivery both companies provided contents that have been separated, organised, bagged individually and labeled. The deliveries are a pleasure to receive and it is a great time saver knowing that you don’t have to do any sorting. Also, both companies place the cooled proteins on the bottom of the box with an appropriate amount of ice, so that the box can remain outside the refrigerator for a few hours without any concerns. both companies provide a well-organized and easy to use website and app. You can register, specify your eating preferences, select and change your plan and desired dishes, change your payment method etc – all online in a very easy and straightforward way. You can also see past and future menus, including the recipe itself and additional information on the dish. The service in both companies is a subscription service, with the option to skip weeks very easily if needed. They also both offer some flexibility in selecting your preferred delivery day. If you wish to cancel the account, you can do this online with Hello Fresh. With Sun Basket you will need to contact customer support, but they reply quickly and cancel the account immediately. Sun Basket offers one signature sauce every week for $4.99 . Hello Fresh offers two different add ons – the first one is a handy selection of kitchenware – prep tools, cooking ware, knives, storage solutions etc. The second one is a monthly wine subscription, at a cost of $89 for a selection of 6 wine bottles per month. You can choose between a red, white or mixed wine plan. Both companies have great dinner options on offer, but they do appeal to a different type of customers, in our view. 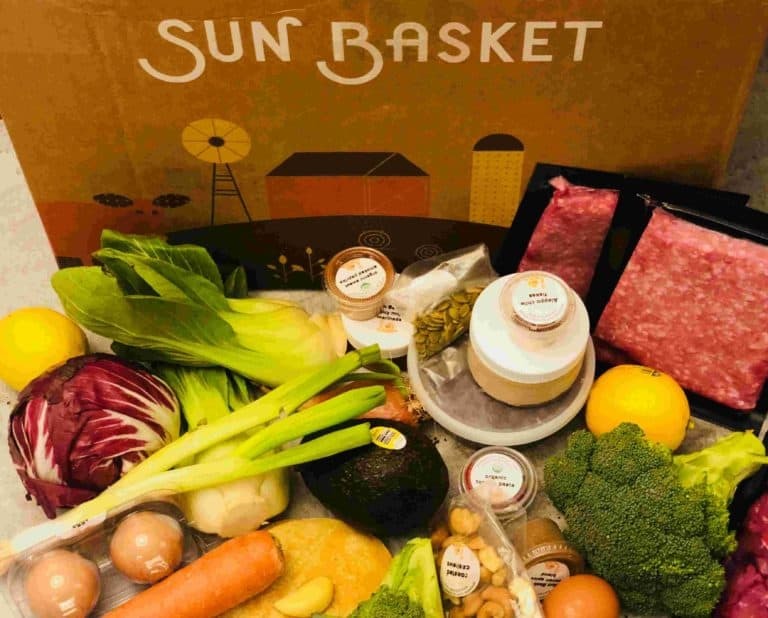 If you are all about organic, healthy, new age food that is delicious and creative, yet easy to make, or if you have a specific dietary needs like, vegan or gluten free, low carbs or Paleo – then Sun Basket is your choice. If you are looking for best quality classic meals that are both easy to cook and taste incredible every time – then Hello Fresh is the right choice for you! Our winner is Sun Basket – their true commitment to deliver organic and sustainable sourced ingredients bought us. also, the variety and diversity of weekly recipes is amazing!